Every team usually has a “go to” guy. Then there are teams that have a lot of diversity that have different players step up each night, or even in the same game. 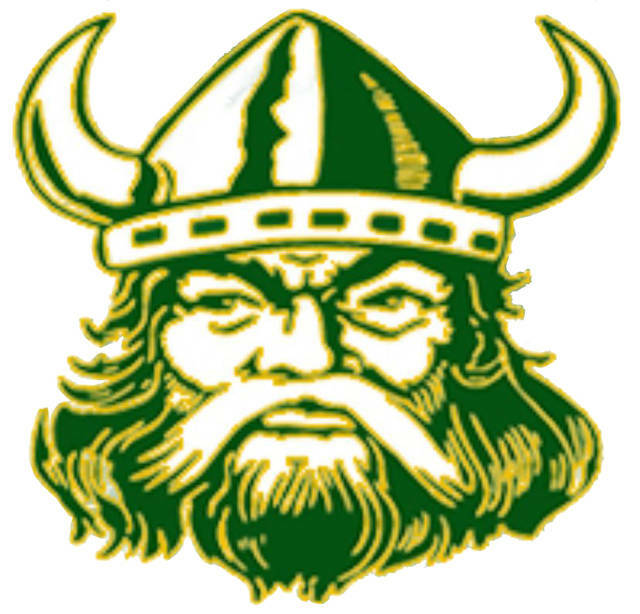 Evergreen had just that as three different players had big scoring quarters to rebound the Vikings from a second quarter deficit to what turned out to be a runaway 72-51 win over Liberty Center on opening night of the NWOAL season Thursday at home. The state-ranked Vikes are now 9-1 on the season. “What I like is that tonight it was more that Nate (Brighton) had 20, Mason (Loeffler) had 19, Bryce (Hudik) had 15,” explained Viking coach Jerry Keifer. “You know the next time out Chandler (Lumbrezer) could have 20. Nic Borojevich could get 15 and Jack (Etue) could get 10, it’s great because you just never know who is going to score and have that big game and I think that’s what makes us hard to guard. Evergreen jumped out to a 16-12 first quarter lead as three-pointers from Hudik and Loeffler countered Carter Burdue’s eight point quarter for the Tigers. However, the Vikings could manage just four free throws in the first four minutes of the second and Burdue continued his scoring onslaught, hitting seven straight, along with hoops from Bryce Bailey and CJ Spradlin for a 23-20 Liberty Center lead with 4:10 left in the half. That’s when Etue came off the Viking bench and was the first to give Evergreen a shot in the arm offensively. After Loeffler’s putback got the Vikes within 23-22, Etue drilled a triple from the right wing to give Evergreen a 25-23 lead and the Vikings never trailed again. The teams traded hoops between Hudik’s pull up jumper and Etue’s turnaround in the key that countered Spradlin’s third chance basket and Burdue’s 17th point of the first half before Evergreen put together points on consecutive possessions with Loeffler’s second score off the offensive glass of the quarter and a pair of Etue free throws to give Evergreen a 35-31 lead at intermission. After Camden Krugh’s foul line jumper 20 seconds into the third sliced that lead in half, this time it was Hudik’s turn to ignite a Viking scoring burst. The 6’3” senior guard scored off the offensive boards, got a steal and fed Lumbrezer for a layup, buckled a Tiger defender on a stop-and-go move, then added a pair of driving layups to boost the Evergreen lead to 54-40 at the end of the third. From that point Brighton took over. In the first 2:30 of the fourth the Vikes’ 6’4” junior scored 11 straight to put the game out of reach. After splitting a pair from the line, Brighton then stole a pass and went solo down the right side against a Tiger player for a high-flying slam, then scored twice off offensive rebounds and on a great feed from Lumbrezer for a 65-43 lead. Evergreen got their biggest lead at 70-45 when Ethan Loeffler split two from the foul stripe. For the game Evergreen was 25 for 43 from the field, including 13 for 21 in the second half. Liberty Center also shot it well for the game at 22 for 45, but was just 8 for 21 in the last 16 minutes after the Vikings clamped down on the defensive end. Brighton hauled in 18 rebounds to go with his game high 20 points, as he single-handedly outrebounded the entire Tiger team as Evergreen held a 38-17 edge on the glass. Burdue had 19 for Liberty Center but just two in the second half when Lumbrezer took over defensively on him and the Tiger junior began to cramp near the end of the third quarter. “We kind of challenged them at the half that we got out-toughed in the first half,” explained Keifer. “That’s a tough thing to take. That was the point of emphasis was not to get out-toughed and once we got used to the physicality and got locked in defensively we got rolling. “And I’ll be honest the time when Burdue went out was a factor. We were already up double figures when he left but the kid is a nice player. Evergreen (9-1, 1-0 NWOAL) now plays Northern Lakes League power Anthony Wayne (8-3) Tuesday before traveling to Swanton (4-6, 0-1) Friday.